Not everyone wants cardinals around her home and garden. They may be beautiful and loved by most, but cardinals can be pests just like any other animal. They feed on ornamental fish in garden ponds, run off other bird species and make lots of noise. Cardinals don't fall into the class of game birds, and it is illegal to kill them in many places, so destroying the animals is pointless, cruel and unnecessary. Fortunately, several humane deterrents exist to drive cardinals from your property. Get rid of cardinals humanely with a series of fairly easy steps. 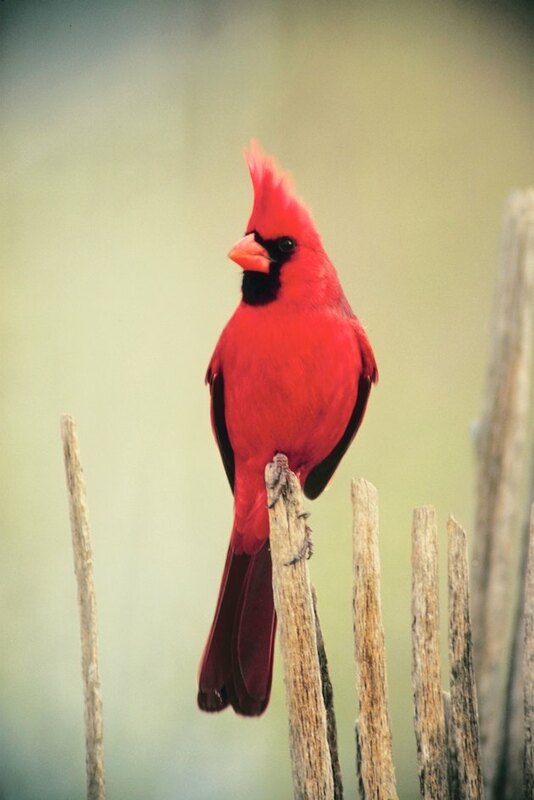 Locate what keeps cardinals near your property, and move it if possible. Move birdbaths to areas where cardinals won't bother you. Move bird feeders away from fish ponds. If you can't move them to a better place, remove them altogether. Place decoys that look like predatory birds around the areas the cardinals frequent. Owl, hawk and osprey decoys make the cardinals worry they may become food. Move the decoys periodically to throw the cardinals off. Decoys left in one place for too long lose their effect. Install bird repellent wire strips along windowsills, eaves, and any other place cardinals roost. The wires strips have a mesh of wires that stick straight up and prevent the cardinals from landing. Cardinals are not hurt, because they won't land on the strips. Install motion sensing water sprayers where you most often see cardinals. When the cardinals come near the sprayer, motion sensors detect the birds and shoot a blast of water. Birds leave because they don't like the water and it surprises them. Like decoys, sprayers should be moved every few days to keep birds guessing. Living In Virginia, Eric Linkenhoker has written professionally since 2011. His expertise lies in automotive work, stringed instruments and home improvement. He has been published online. Linkenhoker received a Master of Science in English from Radford University with concentrations in American literature and business writing.